An art auction was held on January 31st by the Master Wan Ko Yee International Cultural Institute. One of the paintings auctioned was a small-scale painting entitled “Ancient Village at Remote Mountain Spring” created and donated by H.H. Dorje Chang Buddha III. That painting is only 5.6 square inches, which is about one fourth the size of the palm of a hand. Forty-seven people began to bid on that painting. The final selling price was US$35,100, which equals US$902,571.42 per square foot. This is a record-breaking market value for any Chinese painting ever sold in history. Another donated painting, “Lotus Charm,” was created by Compassionate Mother Dr. Yuhua. It is a 2.3-square-foot Chinese painting of lotus flowers. The final selling price was US$50,100, which is US$21,782.6 per square foot. On January 31st at the five-star San Gabriel Hilton, the Master Wan Ko Yee International Cultural Institute hosted an “Exhibition of National Treasure Level Works of Art by Compassionate Mother Dr. Yuhua and Auction of Small-Scale Art.” The Institute auctioned the paintings “Lotus Charm” and “Ancient Village at Remote Mountain Spring” to enhance the annual Chinese New Year Celebration that the Institute conducts for its members and to raise money for disaster relief in Haiti. Many dignitaries gathered at the crowded auction site. The many government officials who presented certificates Dr. Yuhua for her artistic achievements also were present to witness the auction. A notary public from a notary public company was present during the auction to perform notarization. The painting “Lotus Charm” by Dr. Yuhua was, of course, a much sought-after work of art. The market value of an artist’s paintings is calculated on a per square foot basis. The minimum opening bid for the 2.3-square-foot “Lotus Charm” was US$10,000. Forty bidders entered the auction site to bid on that painting. The price was driven up by all of those many bidders, but in the end the winning bid was in the amount of US$50,100, or US$21,782.6 per square foot. 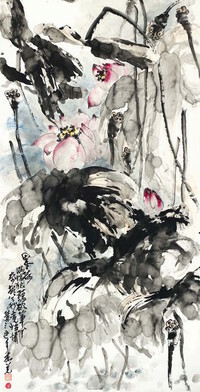 The lotus flower paintings by Dr. Yuhua are unsurpassed in the history of Chinese art. Her 2.3-square-foot lotus flower painting called “Lotus Charm” was auctioned for US$50,100. H.H. Dorje Chang Buddha III is a master artist who holds the record for the highest market value of any Chinese painting in the history of the world. In 2000, a painting by His Holiness called “Majesty” sold for more than US$2,120,000 at an international auction. Inscribed on that painting of a group of lions were the Chinese characters “Wan Ko.” It also was stamped with the seal His Holiness uses on His calligraphy and paintings. At another international auction, the painting “Venerable Da Li Won” sold for NT$72,000,000, which equals about US$2,220,000. 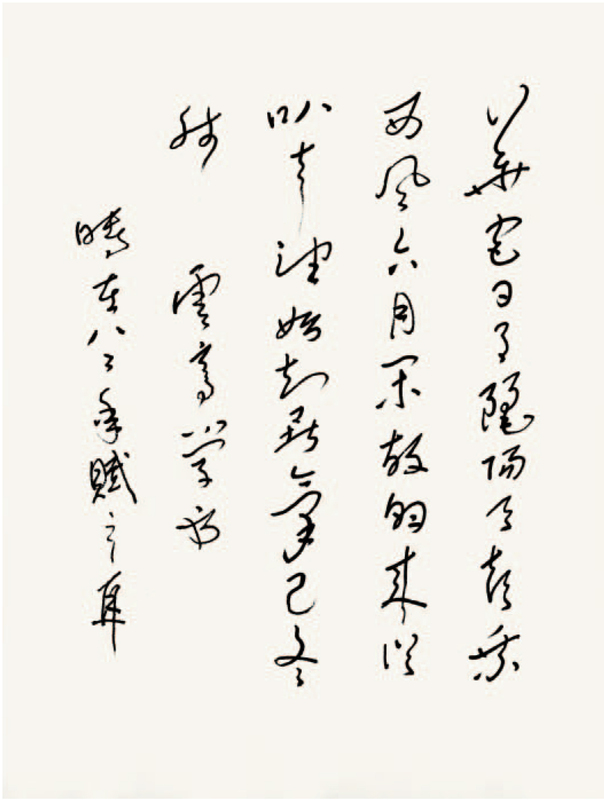 In 2007, the International Buddhism Sangha Association openly sold a lotus flower painting by His Holiness on which the Chinese characters “Wan Ko” were inscribed. That painting, which is called “Two Flowers; One Lotus Capsule; One Dharma Nature,” sold for US$300,000 per square foot. Another painting by His Holiness entitled “Pasture in Spring” was inscribed with the holy Dharma King name “Wan Ko Yeshe Norbu,” contained the fingerprint of His Holiness, and was stamped with a Dharma King seal. A bidder for that painting offered US$540,000 per square foot. Prior to January 31st, all of the paintings by H.H. Dorje Chang Buddha III offered for sale in the international art market were large-scale paintings. January 31st was the first time a small-scale painting by His Holiness was auctioned. As a result, that auction was the focus of much attention. The Chinese characters for “Dorje Chang III” were inscribed on the painting “Ancient Village at Remote Mountain Spring.” On the back of that painting are the fingerprint and seal of His Holiness. The minimum opening bid for that work of art was US$8,000. After rounds of intense bidding, the final selling price was US$35,100, which is a market value of US$902,571.42 per square foot. This broke the record for the highest market value per square foot of any Chinese painting in history. There are many people in the world today who collect paintings by H.H. Dorje Chang Buddha III (whose secular name is Master Wan Ko Yee). For example, Guoxing Wang, who is ranked seventh among the ten great and famous Chinese painters, collected several dozen paintings by Master Wan Ko Yee. However, according to appraisals made by Chinese artists, many of those paintings are counterfeit but were stamped with genuine seals. In recent times, numerous counterfeit paintings supposedly created by Master Wan Ko Yee have appeared in society. The reason behind this is that long ago various people in society used various means to collect seals previously used by Master Wan Ko Yee on paintings and calligraphic works as well as personal seals previously used by Master Wan Ko Yee. This has resulted in the confusing situation where counterfeit paintings are stamped with genuine seals. It has already been publicly revealed that Master Wan Ko Yee has been recognized by eminent monastics and greatly virtuous people around the world as being the true incarnation of Dorje Chang Buddha III. Works of art created by H.H. Dorje Chang Buddha III now contain His fingerprint. Now, all authentic works of art by His Holiness contain His fingerprint. This fingerprint cannot be counterfeited by anyone. More importantly, information about all of the paintings by H.H. Dorje Chang Buddha III is contained in computer files that can be checked. Anyone who wants to buy a painting by His Holiness should first have that painting authenticated by the Calligraphy and Paintings Authentication Committee jointly established by Superb Art Museum of America, United International World Buddhism Association Headquarters, and International Buddhism Sangha Association. That way, one can avoid being deceived into buying a counterfeit painting. Any authentic painting that contains the fingerprint of H.H. Dorje Chang Buddha III and about which information is contained in a computer file has great potential to appreciate in value. For example, the painting “Majesty” sold for US$66,250 per square foot in 2000. Ten years later, the current market value for a painting by His Holiness is US$902,571 per square foot, which is about a 13.6-fold increase in value. After the true identity of H.H. Dorje Chang Buddha III was revealed to the world, His Holiness has not had time to paint paintings. Therefore, each of His paintings is extremely valuable and difficult to purchase even with a large sum of money. One can imagine how many times more valuable a painting by H.H. Dorje Chang Buddha III will be ten years from now. Paintings by His Holiness have the potential to appreciate in value at least several dozen times more than the amount they appreciated in value over the past ten years. It is no wonder that so many people furiously bid on one of His Holiness’s paintings. 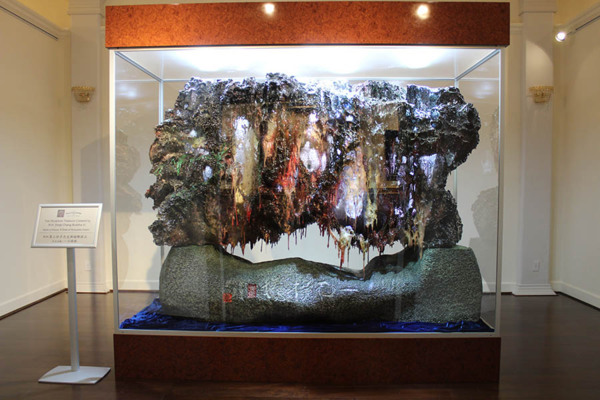 The following art created by Compassionate Mother Dr. Yuhua was displayed at the exhibition: ten lotus flower paintings and two faux coral sculptures called “Supreme Treasure of the Dragon King’s Palace―King” and “Supreme Treasure of the Dragon King’s Palace―White Jade Treasure” (which includes a matching flower vase called Hong Luo Xiu). The latter two works are hand-sculpted and hand-painted word-class, flawless art of the highest quality that were publicly displayed for the first time at the exhibition. The organization hosting the exhibition stated that all of the exhibits created by Dr. Yuhua were borrowed from Superb Art Museum of America. Lotus flower paintings and landscape paintings by other famous Chinese artists were also displayed at the exhibition. By contrast, the lotus flower paintings by Compassionate Mother Dr. Yuhua were vivid, smooth, vigorous, and lively. Her paintings lack even the slightest trace of mediocrity. There is no way that anyone can copy them. It is no wonder that the United States Congressional Record stated her lotus flower paintings are unsurpassed in the history of Chinese art. According to the estimate of a person affiliated with Superb Art Museum of America, the faux coral works “King” and “White Jade Treasure” are each worth between US$7,000,000 and US$9,000,000. However, those two works have already been given to Superb Art Museum of America, a non-profit public charity organization, and therefore are not for sale. Many dignitaries or their representatives attended the exhibition and presented certificates to honor the achievements of Dr. Yuhua or to congratulate her. Among those dignitaries who attended in person or through their representatives were Congresswoman Dianne Watson, Congressman Adam Schiff, Congresswoman Judy Chu, California State Assemblymen, the California State Controller, the five supervisors of Los Angeles County Board of Supervisors, the mayor of Pomona, the mayor of Cerritos, the Vice-Mayor of Alhambra, the mayor of Monterey Park, the mayor of South Pasadena, the mayor of Redondo Beach, the Sherriff of Los Angeles County, and others. There was a continuous flow of people who attended the exhibition, making a very grand occasion indeed. H.H. Dorje Chang Buddha III is the only unprecedented Master of Arts in the world. The accomplishments and contribution of H.H. Dorje Chang Buddha III can be found in many areas. Ever since the history of Buddhism in the world, no Buddhist figure has excelled H.H. Dorje Chang Buddha III in the mastery of the Five Vidyas. For example, in the art of painting, the Chinese paintings or western oil paintings by H.H. Dorje Chang Buddha III all have reached apex. The art Works of H.H. Dorje Chang Buddha III fall into many subject matters including figures, landscape, flowers, birds, fish, or insects and various techniques such as meticulous painting, freehand brushwork, splash-ink style, or heavy colors. In all these areas, His Holiness has demonstrated high, magnificent nobility, transcendental character and perfection in art. H. H. Dorje Chang Buddha III is a true top Master of Art who lives to his name in the world. The Spring Auction held by Gianguan Auctions very recently marks the first time in which so many great artworks by renowned artists are gathered together, which wowed viewers and sent buyers from all countries into a bidding frenzy. Of all of the works, “Ink Lotus” by the contemporary H.H. Dorje Chang Buddha III was deemed supreme in both merit and value. Paintings and calligraphy by H.H. Dorje Chang Buddha III are difficult to come by, and even more difficult to acquire. According to auction specialists, the International Art Museum of America has offered to purchase H.H. Dorje Chang Buddha III’s sunflower and water lily oil paintings for over $1,000,000 per square foot, but has yet to acquire the paintings due to unsuccessful price negotiations. At Gianguan’s Spring Auction, this painting was sold at the highest price. surpassing that of works by renowned artists past and present, and trumping by multiple times the selling price of all works by famed historical and contemporary masters sold at the spring auction, such as those of Shi Tao, Wu Changshuo, Yun Nantian, Qi Baishi, Zhang Daqian, Xu Beihong, Fu Baoshi, Pan Tianshou, Li Keran, Huang Binhong, Wu Guanzhong, and even the Five Dynasties’ Juran, the Southern Song Dynasty’s Su Hanchen, and Wen Zhengming and Zheng Banqiao of the Ming/Qing Dynasty. H.H. Dorje Chang Buddha III is a world-class master artist, as well as the highest world leader of Buddhism: in 2012 the United States Senate unanimously voted to approve the resolution to honor H.H. Dorje Chang Buddha III’s contribution to humanity, and conferred the title of His Holiness upon Dorje Chang Buddha III. H.H. Dorje Chang Buddha III is also the only Buddha in the world to have a Buddha Day— “H.H. Dorje Chang Buddha III Day,” proclaimed in writing by the mayor of Washington D. C. on January 19th, 2011. The USPS approved the issuance of a commemorative first-day cover envelope in honor of H.H. Dorje Chang Buddha III Day. H.H. Dorje Chang Buddha III has also received countless awards, including the World Peace Prize, the Presidential Gold Medal, the Congressional Republican Gold Medal, the International Leader Award, and the Martin Luther King Award, among others. H.H. Dorje Chang Buddha III is also a Fellow of Britain’s Royal Academy of Arts, and the only Fellow appointed in the Academy’s two hundred year history. The fellowship was awarded by the Academy’s President Phillip King, at a ceremony in the British Embassy in Washington. Furthermore, H.H. Dorje Chang Buddha III’s paintings are rare and hard to come by, as they are almost never found in circulation in society. All originals feature a three-dimensional fingerprint as authentication. The appreciation of every painting will bring us to a state that is beyond words. With our ordinary eyes, it is impossible for us to perceive the kind of level it requires for one to be able to create such details and vividness in a painting. We can only say that the manifestation of the Craftsmanship Vidya of H.H. Dorje Chang Buddha III proves to us the magnificence of Buddha Dharma. The sculpture A Rock of Horizontal Charm is a masterpiece of Yun Sculpture, embodying the spirit of an art surpassing the beauty of nature, created by H.H. Dorje Chang Buddha III for humankind. Derived from an art form created by H.H. Dorje Chang Buddha III that possesses beauty beyond nature’s, it has attained a realm –never before seen in human history – of artistry transcending nature, originating an art form in this world that is irreplicable by any craftsman or high technology. Granted, more than ten years ago, we had already heard someone call a particular sculpture a “peerless treasure.” To speak truthfully, however, we could not concur with such an appellation. “Peerless” is not a word to use lightly. Only that which is truly in a league of its own in the world can properly be called peerless. A “peerless treasure” must attain the pinnacle of unrivaled preciousness in order to be so named. From ancient times to the present, how many sculptures can truly be christened a peerless treasure? It can be said that not even one can be found. Even the He Shi Bi (the Jade Disc of He), recorded in history as a treasure of monumental value, does not fit the title of “peerless treasure,” since it is completely replicable— and if it can be replicated, it is not unique; if it is not unique, it is not peerless. In fact, any master sculptor’s magnum opus can be recreated and, on this basis alone, is unfit to be designated a “peerless treasure”! This divine sculpture is ranked the first, as the “emperor,” and will be shown to the public for the first time; while the second-ranked empress, Mystery of Lovely Colors, is exhibited in the Treasury of the International Art Museum of America; and the fourth-ranked little princess Yellow Yellow has been hailed by a viewer —during its exhibition at the Gold Room of a Congressional House office building on Capitol Hill— as “a gift from God to mankind.” These Wondrous Multicolored Sculptures are treasures of art irreplicable by any craftsman, expert, or high technology. For the first time in the world, H.H. Dorje Chang Buddha III has created an irreplicable art, and one can only say that when the Yun Sculpture appears, the most gorgeous jewels of the world lose their luster, just as the stars all pale against the resplendent moon. Its beauty is truly soul-enrapturing.